Yes, you read the headline correctly. This is an ongoing problem in France, across the nation, and even in the former capital of Love and Romance, Paris, as Muslims and Islamists take to the streets to block off roads and disrupt traffic in order to pray five times a day. Say it isn’t so? Well, it is unfortunately, as the ideology of Islam just demands more and more mosques, whilst we are yet to see a single Christian church being erected in the Middle East anywhere for the rest of us to pray in. See the difference? Perhaps it’s the fault of the disastrous socialist immigration policy of previous president Francois Hollande, which has now seen France become more Islamic than French nationalist. Let’s also not forget the horrible terror attack incidents that have happened across France in recent years as well. During the French election in 2016, the French voted in another socialist president, under the disguise that he was a centrist candidate (fake news). 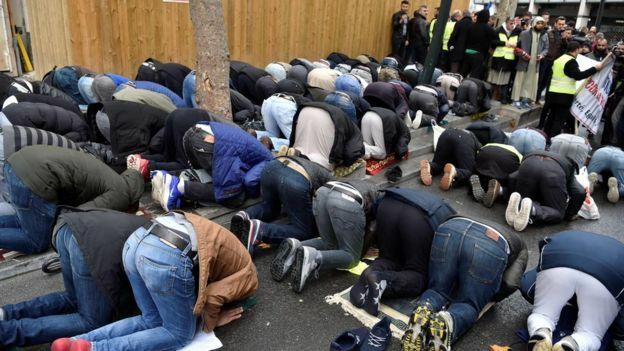 Yes, Emmanuel Macron, with the help of a massive ex-patriot voter fraud scheme, won the election from Marine Le Pen, and now the latest big issue in France, (aside from widespread terror threats), it is Muslim men blocking off roads in order to pray. Additionally, the French national anthem and national pride seems at threat too from socialist political correctness, but this didn’t stop some French people demonstrating and singing the national anthem whilst marching in protest to “Stop Illegal Street Prayers” in the neighbourhood of Clichy, north of Paris, attempting to push some 200 Muslims out of the towns Market Square where they congregate to pray, no less than five times a day. See some of the Twitter videos of the problems on this link. Do you see the problem? Now socialism will say that these Muslims need more mosques to pray in, but at what point does socialism and political correctness admit that their policies have been massive failures in the importation of Islam into European societies? A mosque was provided, but Islamists complained that it was “too hard to reach”. 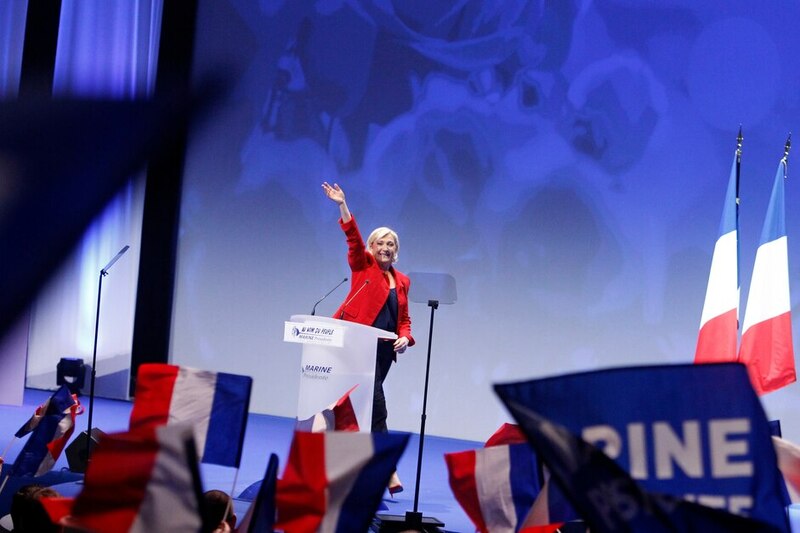 Marine Le Pen has spoken out about these latest calls from Islamists to disrupt the natural French way of life, calling them out as constructs of Islamic provocations, by flaunting their opposition to assimilate or adapting civilly by demanding yet more mosques, as well as sincerely wishing and planning for Sharia Law to come to the country at some point in the future. There hasn’t been a peep from Emmanuel Macron on this issue, yet more evidence as to why the real French people feel deceived in electing him as President. Expect to see more and more clashes over “Illegal Street Prayers” in France, not just in Clichy, but all across France in the near future. Do they really pray for a peaceful world or a world only for muslims. As the politicians using Muslims as their vote bank thus destroying original environment of the country where Muslims r integrated later.